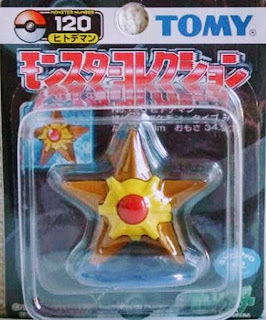 Pokemon figure Tomy Monster Collection series Staryu ヒトデマン. 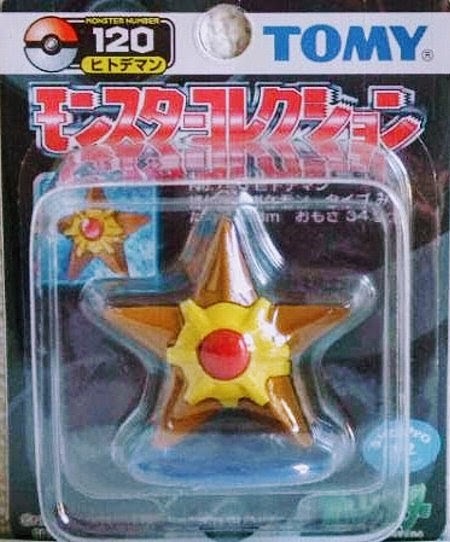 Same pose with other color tone in black package series. 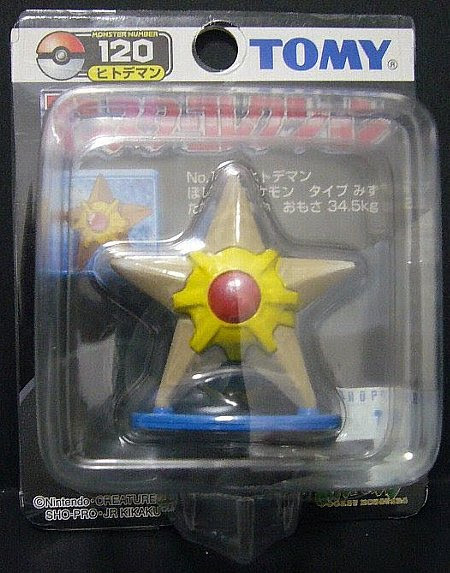 Staryu in YJ Auction ?